Planet Labs is an SF based aerospace startup that designs, builds, and operates a network of mini-satellites that deliver the most current images of Earth. For a period in 2014 I had the honor of serving as their full-time Artist in Residence. Through a series of projects I explored how to playfully re-imagine elements of the aerospace industry while injecting imagination and creativity into their office. 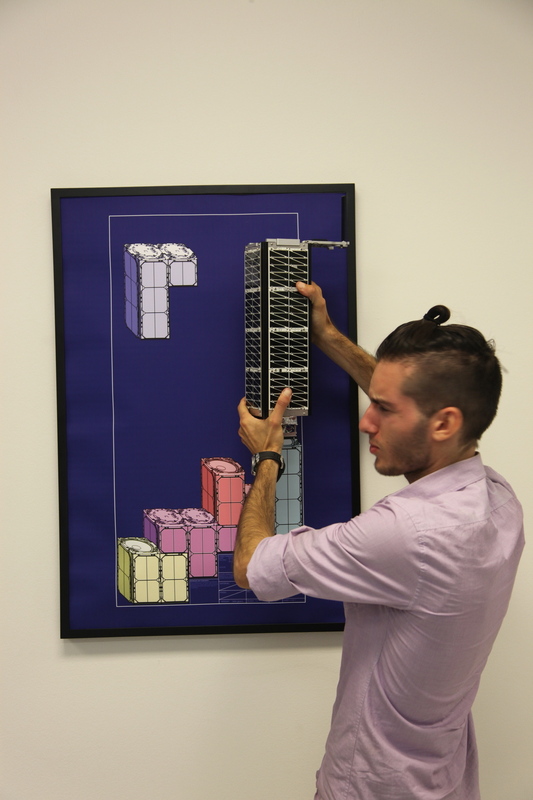 A poster series of faux blueprints re-imagining the industry standard "cubesat" design - known for its packability - into tetris shapes. A photo series juxtaposing the human eye with the satellite's telescope lens. Explores the implications of humans being able to effortlessly see the world from above. 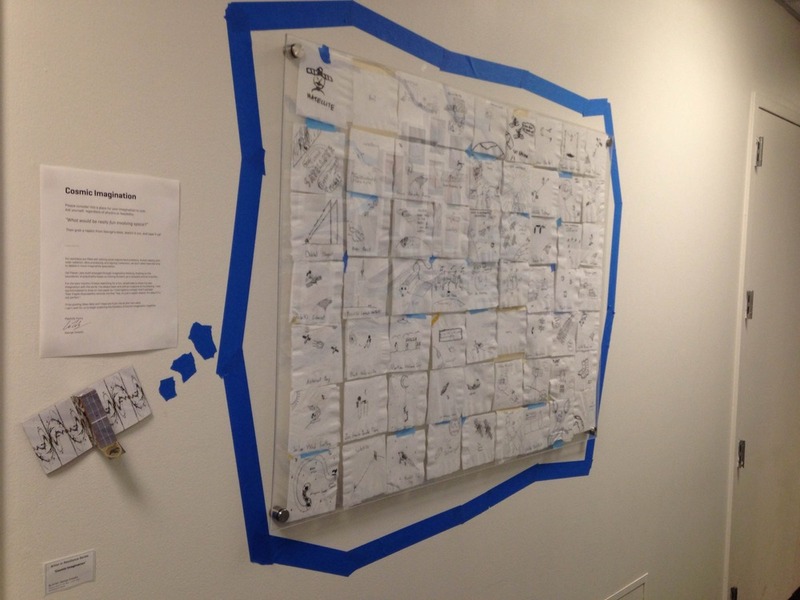 Using my daily napkin sketch series to invite Planet Labs employees to imagine "What'd be fun involving outer space?"